You’ve probably seen all the videos on Facebook, Vine, and YouTube of people cruising around on “hoverboard” scooters (that don’t actually hover at all, in spite of the nickname). While the product might be a hot item for the holidays, one Louisiana family says their not-actually-a-hoverboard caused a fire that burned down their home. 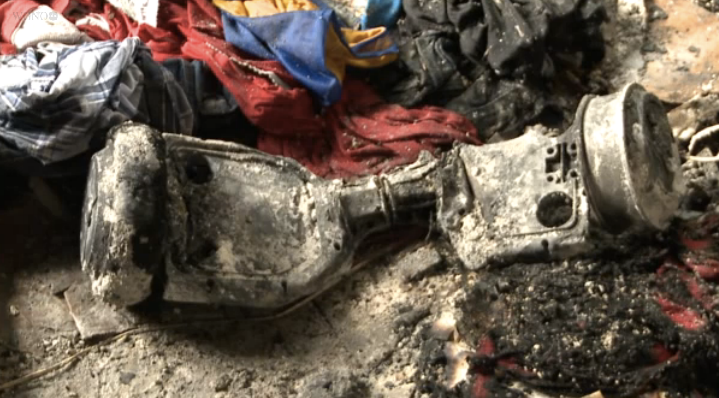 WGNO-TV reports that just a day after the family’s son received his hoverboard, it exploded while charging. The board, which came from Fiturbo and was ordered via Amazon, operated on lithium batteries and was being charged with a charger provided by the company. The woman says the fire was so intense, her house was in flames within minutes. Local fire officials continue to investigate the cause of the blaze, WGNO reports. While the family was aware of the risk of injuries from falling off the board, they never imagined it would catch fire. The Consumer Product Safety Commission tells WGNO that in the last three months individuals have reported eight injuries that required emergency room attention involving hoverboards. However, each of those incidents included falls from the scooter-like devices. A spokesperson for the agency couldn’t speak about specific hoverboard brands, but encouraged consumers to report all safety issues to saferproducts.gov.